We are proud to add a new product and camera KIT to the Elphel portfolio. See the pricelist. The NC353L-369-IMU/GPS is a new camera configuration with an Inertial Measurement Unit (IMU) and optional GPS receiver. 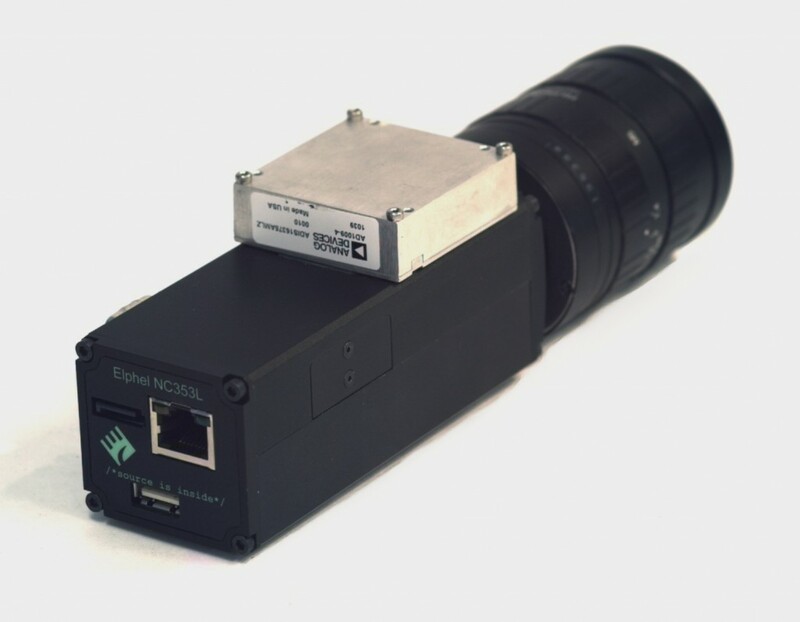 In addition to storing the geographical coordinates with each captured image in a video stream this allows to also save 3D orientation (yaw, pitch and roll) and 3D acceleration (Six Degrees of Freedom Inertial Sensor) of the camera at the moment of capturing an image at very high precision (2400 samples/second). A detailed description can be found in the previous post. If you can add that ability, even if it requires post processing, you will *definitely* make people sit up and notice. Thank you. Yes, I do know this work, but we need something a little different. The motion blur is not a big problem for us as we do have rather short exposures. The data from the high sample rate IMUI will mostly be used to compensate the camera egomotion during frame acquisition – effects of the rolling shutter. And when we’ll have this done – yes, it may be possible to compensate for the motion blur when making indoor images.